The US-led effort to launch peace talks between Taliban insurgents and the Afghan government gives Pakistan with an opportunity to ease its ties with Washington by playing a “positive role” and giving up a longstanding policy of trying to retain influence in Afghanistan, according to Husain Haqqani, a former Pakistani ambassador to the US. The US, Afghanistan and India have repeatedly accused Pakistan of supporting the Taliban and providing refuge to its leaders, a charge Islamabad denies. Washington last year began direct talks with the Taliban, seeking to negotiate an end to its 17-year insurgency following the US-led invasion of 2011 in pursuit of Al Qaeda leader Osama bin Laden. 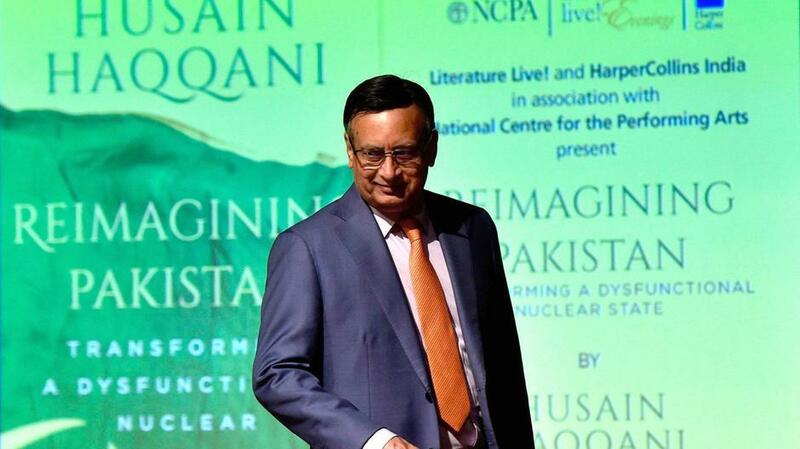 “For Pakistan, the US focus on withdrawal from Afghanistan offers an opportunity to engage with Washington and to possibly secure US economic and military assistance,” Mr Haqqani said in an interview with the The National during a visit to India to speak on security in South Asia at the Jaipur Literature Festival last month. “The world sees the Taliban as Pakistan’s protege, and having a protege you cannot fully control makes things complicated. Pakistani intervention could help clinch a deal, but only up to a point, according to Mr Haqqani, now a senior fellow and director for South and Central Asia at the Hudson Institute think tank in Washington. He said Pakistan’s refusal to admit to influence over the Taliban could put it in a difficult spot. “The world sees the Taliban as Pakistan’s protege, and having a protege you cannot fully control makes things complicated. My fear in relation to the US and Pakistan is that both sides could overestimate their respective leverage – the US over the [Pakistani] economy and Pakistan over an Afghan settlement – making a deal more difficult,” he said. The former diplomat also raised concerns over Pakistan’s intentions in the peace negotiations. “The Pakistan establishment’s desired end game in Afghanistan has unfortunately not changed since the 1970s. Instead of befriending any legitimately elected government in Kabul, Rawalpindi still desires an Islamist Pashtun, pro-Pakistan, anti-Indian Afghan government,” he said, referring to the city where Pakistan’s army has its headquarters. “The Taliban and Pakistan have given assurances about clearing out international terrorists several times since 1996, and their promises have often turned out to be inadequate or outright false. If there is to be a settlement this time, it would have to involve verifiable guarantees that Afghan and Pakistani soil will not be used to harbour or train terrorists responsible for attacks anywhere. If Pakistan is helping move things in that direction, that is a positive development,” he said. Mr Haqqani said support for the peace initiative from various countries was as a positive step.